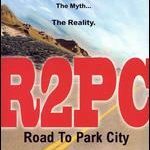 Listen to some music from the movie, “Road to Park City (MOV),” featuring John Viener (Family Guy), Paige Turco (Party of Five), Bobby Kennedy Jr., Christopher Lawford, Chef Tell and the Sundance Film Festival. Berklee College of Music released a promotional CD with this song, “No One Here (MP3),” and includes a performance by classmate, Paula Cole. This is some of the music from George Washington University’s Promotional Video (MOV). The two other musicians were MCC guitar student, Eric Katerle, playing the lead parts, and NY vocalist, Dee Adams. A symphony in the style of the twentieth-century composer Peter Mennin (1923-1983), reflecting his use of various compositional techniques such as tone clusters, polychords, quartal harmony, pandiatonicism, and pantriadicism. The score can be seen in the appendix of my dissertation (PDF). “Follow Me Down (MP3)” was a winner of the International Berklee College of Music Songwriters’ Competition. 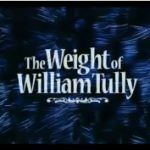 “The Weight of William Tully (MOV)” is an amazing animation by MCC professor, Jim Downer. 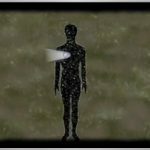 Awards include the Tribeca Underground Film Festival, the Philadelphia Film Festival, and the ASIFA East Animation Festival.